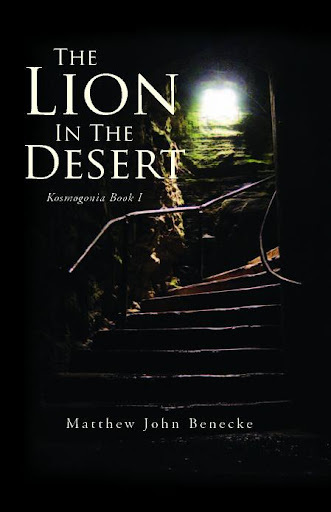 The Lion in the Desert, a supernatural thriller by author Matthew John Benecke, takes readers on a terrifying journey rife with otherworldly encounters and visions of a hellish future. Set amid a backdrop of political subterfuge and the potential for a Third World War, it is at once haunting and captivating in its realism. "There is a thin line between reality and the world of nightmares; for Tim Channing, that line is beginning to blur. Tormented by a recurring apocalyptic dream, Tim struggles to retain a grip on his life as insomnia slowly overtakes him. When a supernatural encounter occurs on his way into work one morning, he finds himself questioning not only his sanity but the very nature of what is real. In a desert bunker hidden halfway around the globe, Dr. Calvin Brody holds the end of the world in his hands. An American expatriate hell-bent on revenge, Dr. Brody finds himself on the verge of fulfilling his dream of destroying the country he once called home. What began merely as a quest for vengeance though might forever alter the face and future of the planet. Amid the ever-present threat of terror attacks on his native New York and growing tensions among global superpowers, Tim must decide whether his nightmare is merely a dream or an omen of Armageddon."